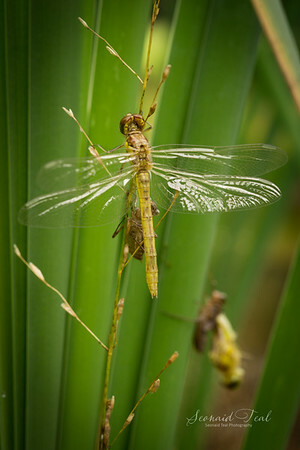 I know I’ve posted lots of photos of dragonflies. I was updating the content on my website when I came across the photos below. 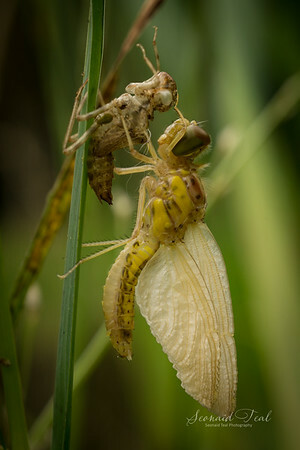 They started my fascination with dragonflies. 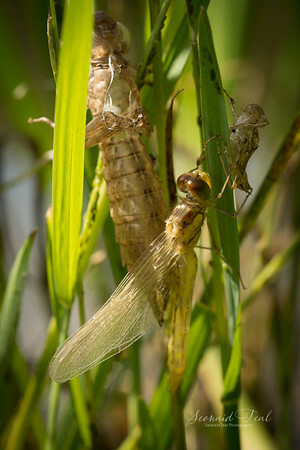 I was sitting by the pond one day, I’d spotted discarded larva skins on the bulrushes on previous visits. They were a dull brown colour and dried up. 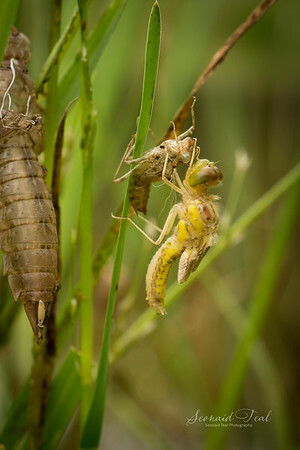 This day I spotted a bug like creature emerging from the larva skin. It wasn’t moving and I thought it was dead. 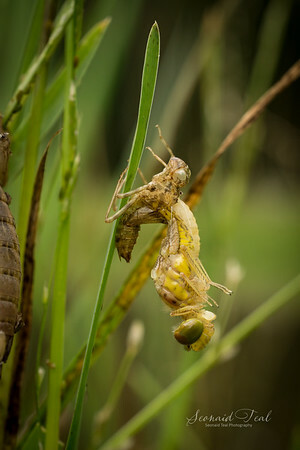 I was surprised when I looked again some time later and realised it wasn’t dead and spotted the beginnings of what would eventually be the wings. 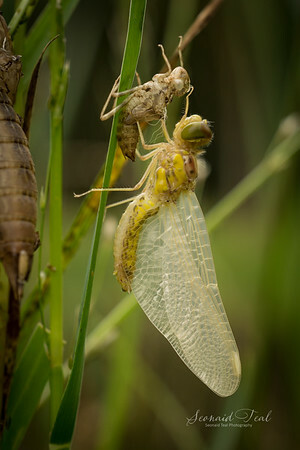 It was a real privilege to sit over the period of a few hours watching the little white grub I thought was dead grow longer, it’s wings grow and form, transforming into a beautiful dragonfly. It was an amazing transformation I’d never witnessed before.